This year we will be offering a few exclusive Calibowl products available for purchase. All orders can be paid online through Square. We will email you an invoice after we receive your product request. In celebration of this year's 10th Calibowl, we will be selling limited edition jackets. Pre-Order now with a $75 deposit and pick-up at the tournament in November. Click below to send us a message with your size and color preference. 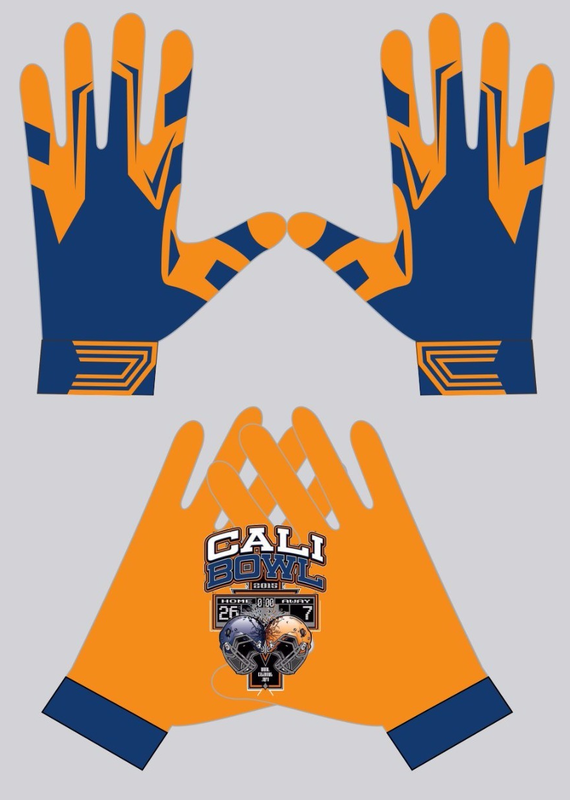 Custom receiver gloves made exclusively for the Calibowl. Available at tournament weigh-in or Pre-Order now by sending us a message below with your size and color preference.